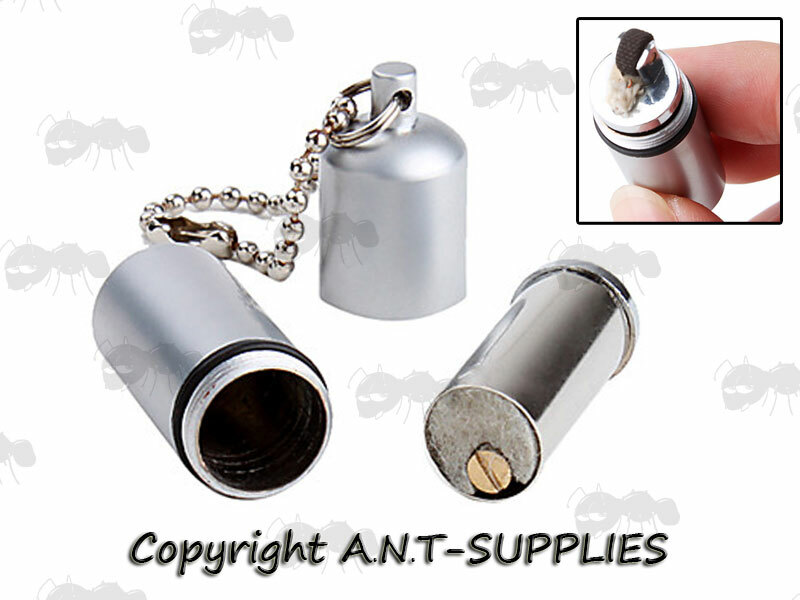 Also available ~ Oil lighter fuel capsules. 52mm long x 14mm diameter. Chrome plated brass with a shiny finish. The flint and wick can be replaced when needed. A super-mini classic style oil lighter in peanut with shell shape. With a 11mm diameter O-ring seal to protect from water and fuel evaporation. Complete with ball linked chain for convenient EDC back-up. We do not ship these outside the UK. so you will need to fill them with lighter fluid.